Interesting info on how weight and level of education have been proven to be related. What do women, obesity, and education have to do with each other? Quite a bit actually. Recently the CDC released statistics collected between 2005 and 2008 relating to obesity in theUnited States. According to the CDC survey, between 2007 and 2008, more than one-third of all American adults were obese. The data showed surprising statistics relating to women and obesity in relation to their level of education. Obesity means that a person’s body mass index (BMI) is 30 or greater. To calculate body mass you divide weight by height. People who are obese are at greater risk to have other health problems such as diabetes, cardiovascular disease, hypertension, and cancer. Compared to the rest of the world, the U.S. is by far the most overweight nation. And contrary to popular belief, it isn’t the impoverished that have troubles with obesity, it is all those who have an income of at least 130 percent of the poverty level, which equals out to a household of four with an annual salary of $29,000 or more, as of 2008. The percent of obese people is highest for those who live at a level of 350 percent above the poverty level (at least $77,000 annually for a family with four members). Thus, it’s not the poor eating too many McDonald’s hamburgers that are giving theU.S.a bad reputation for being overweight, it’s the middle and upper class having access to all the goodies and treats that they want. In fact, people who lived at the lower income levels had less than half the percentage of obesity than the richer set. Now, going back to the title and focus of this article, the data showed some very interesting details about men and women in relation to education and obesity. When it came to men, having a college education made only a small difference to their likelihood of becoming obese. However, with women it made a rather large difference (no pun intended). 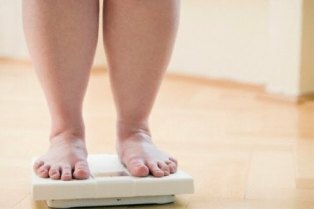 Only 23.4 percent of women who have received a college degree were obese, compared with the whopping 42.1 percent who are obese and did not even have a high school diploma. Even women who had “some college” were still 15 percent more likely to be obese than those with a college degree. Men had a much smaller margin of difference when it came to obesity between those with a college degree or less than a high school education, only about 5 percent. The data is before you, and now it’s up to you to decide. If you are a woman and have concerns about obesity, you can reduce your likelihood of adding on extra pounds by becoming more educated. The trend is very clear that women who complete a college degree will be far less likely to suffer from obesity, thus living longer and healthier lives. Men too can slightly decrease their likelihood of obesity by completing a college education. The reasons for why this is so are many and can’t be pinned down to one cause. Possibly educated women develop more discipline in taking care of their own bodies, or perhaps they have less time to spend at home and thus tend to manage time and eating habits better. Who knows the exact reason, but the data is clear. Women tend to be more obese when they have the least amount of education. Natalie Clive writes at MyCollegesandCareers.com. My Colleges and Careers is an online tool and service to help students locate online schools they can enroll in to earn a college degree and thus improve their prospects for future career success. Connect with My Colleges and Careers on Twitter. That information is very interesting. I tend to agree with that the higher the education the less obese due to working hours and also, they are armed with the knowledge that a good diet is important and even critical in some situations. It’s a shame that studies like this one miss the right audiences for the most part. It is good that you are putting it out there. Really insightful information and findings. I think the education makes one aware about the importance of being healthy and fit. So there is the importance of health education and health blogs. Proud to be a health blogger.